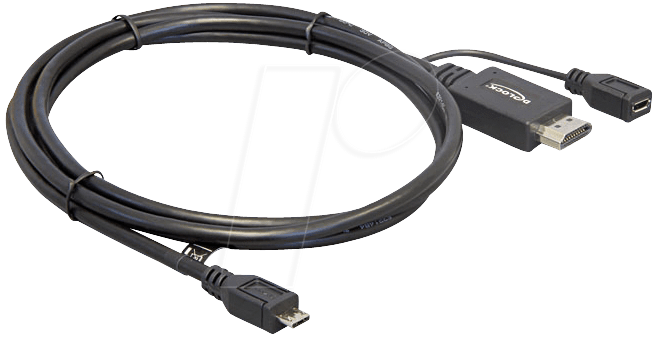 This Delock cable features an MHL interface, a combination of USB and HDMI. It can be used to connect the latest smartphones and tablets. For example, you can connect your smartphone to a TV with HD support to view pictures or videos in HD quality. 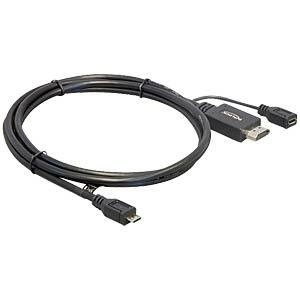 You do not need a separate HDMI cable for this connection as the MHL cable already provides an HDMI connector. 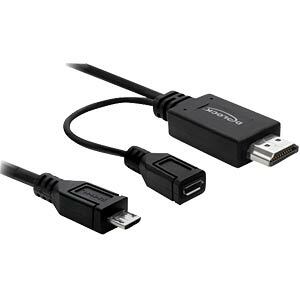 The adapter also features a standard USB Micro-B socket on a short cable branch. 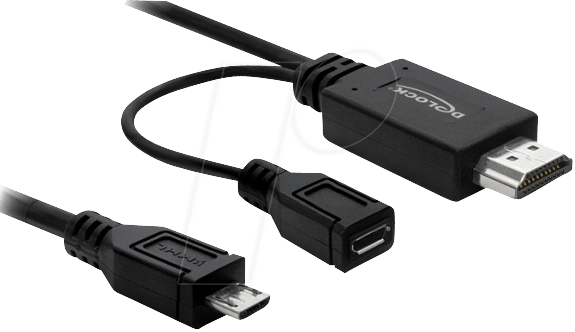 For example, simply plug the power supply unit for your smartphone or tablet PC into the USB micro-B socket to play videos and charge your mobile device at the same time.